The Crested Butte Mountain Bike Association’s mission is to build, maintain, and advocate for sustainable trails and to conserve the landscape of Crested Butte and beyond. CBMBA believes that recreation engenders authentic connections to the environment, thereby developing environmental awareness and stewardship. 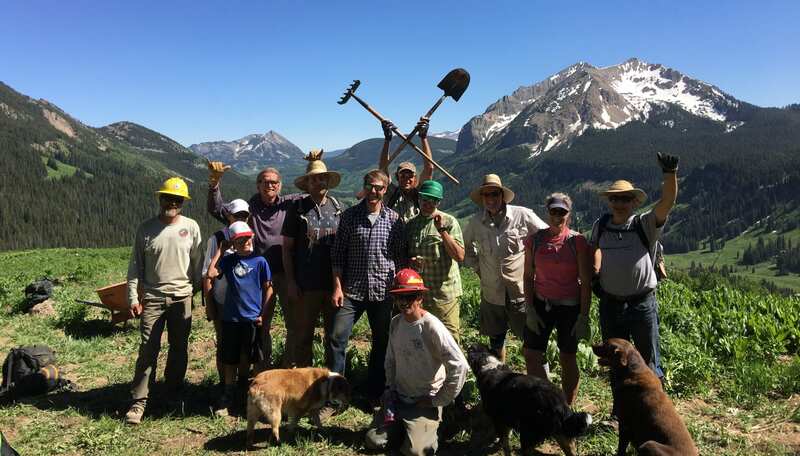 In pusuit of our mission and the betterment of the Crested Butte community as a whole, we have put together a 5-Year Trail Plan. This plan is composed of trail re-routes and new trail projects that focus on connectivity of trails and getting riders off the road. These two goals will substantailly improve trail-users’ experience and safety. The goal of the plan is to strike the right balance between recreation and conservation: improving recreation opportunities while conserving precious natural lands. We’d love to hear your thoughts! Come take a look at the plan, hear from local stakeholders, ask questions, and voice your opinion about CBMBA’s 5-Year Trail Plan. Together, we can make a plan that does more to get you connected to the lands you love.